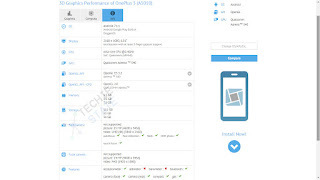 OnePlus upcoming flagship Oneplus 5T now spotted on popular benchmarking site GFXBench.As per listing on GFXBench, the OnePlus 5T is listed as A5010.Earlier we even had confirmation from CEO of OnePlus that there will be OnePlus 5T launching soon. As per listing, the OnePlus 5T now got a model number A5010 which is similar to last year OnePlus 3T which is having model number A3010.As per GFXBench, the OnePlus 5T sports 6.01 inches FHD+ display having a resolution of 2160*1080p and aspect ratio of 18:9.So we can expect a better display and thinner bezels when compared with traditional 16:9 display on OnePlus 5. Apart from the display, the selfie camera on OnePlus 5T has been changed from 16MP on OnePlus 5 to 19MP.There are no details regarding the aperture size for selfie camera.The rear camera is of 16MP Dual camera setup similar to OnePlus 5. The OnePlus 5T is powered by SD835 chip coupled with 6GB RAM and 64GB onboard storage as per listing.There will be one more variant with 8GB RAM and 128GB internal storage.The device is still running on Android 7.1.1 with Oxygen OS on top.The OnePlus 5T is expected to launch by end of this month.